Saturnids, Lasiocampids, Hawkmoths, Tiger Moths..
Arctiidae, Sphingidae, Lasiocampidae, Saturniidae, Endromidae, Lemoniidae, Bombycidae, Drepanidae, Axiidae, Limacodidae, Notodontidae, Lymantriidae, Brahmaeidae, Castniidae, Heterogynidae, Cossidae, Hepialidae, Somabrachyidae, Thyrididae and Psychidae. 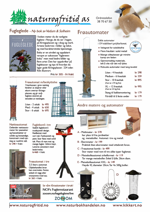 Moths of Europe Volume 1 har relasjoner til. Volume1 of a collection of 6 volumes wich cover most of the moths of Europe. Boka dekker familiene Arctiidae, Sphingidae, Lasiocampidae, Saturniidae, Endromidae, Lemoniidae, Bombycidae, Drepanidae, Axiidae, Limacodidae, Notodontidae, Lymantriidae, Brahmaeidae, Castniidae, Heterogynidae, Cossidae, Hepialidae, Somabrachyidae, Thyrididae and Psychidae. Precise descriptions of each species with information on biology, with distribution maps. Line drawings highlighting certain characters and structure of genitalia for taxa more resistant to identification.